Many moons ago my friend shared an image of these delightful little creations with me on Facebook and asked that I make them soon. 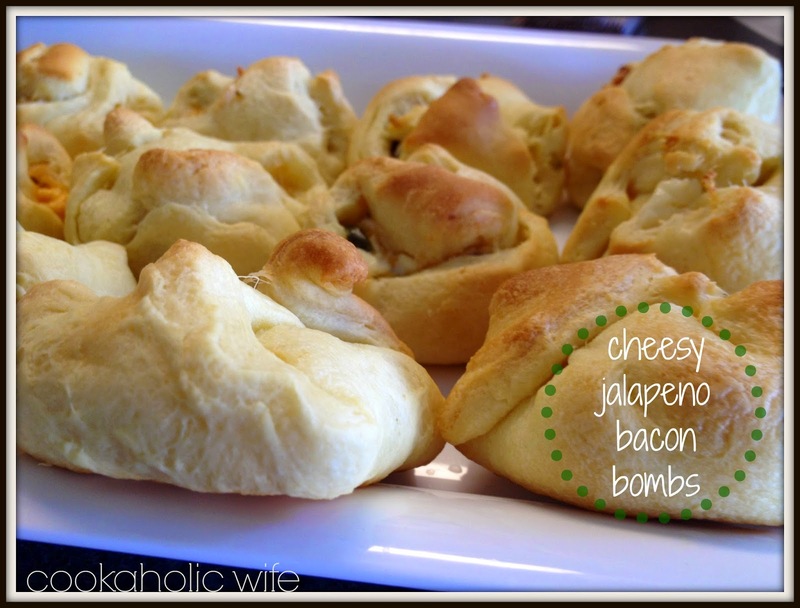 I quickly looked up the recipe and saw that these little bombs of goodness are right up my alley. Really, what more in life does one need? Unfortunately, it took much longer than expected to actually get a chance to make this recipe and I am said to say, my friend couldn’t even attend the party to try them out. Never fear, these disappeared so quickly that I know they must remain on my “party standards” list of appetizers to serve. 2. 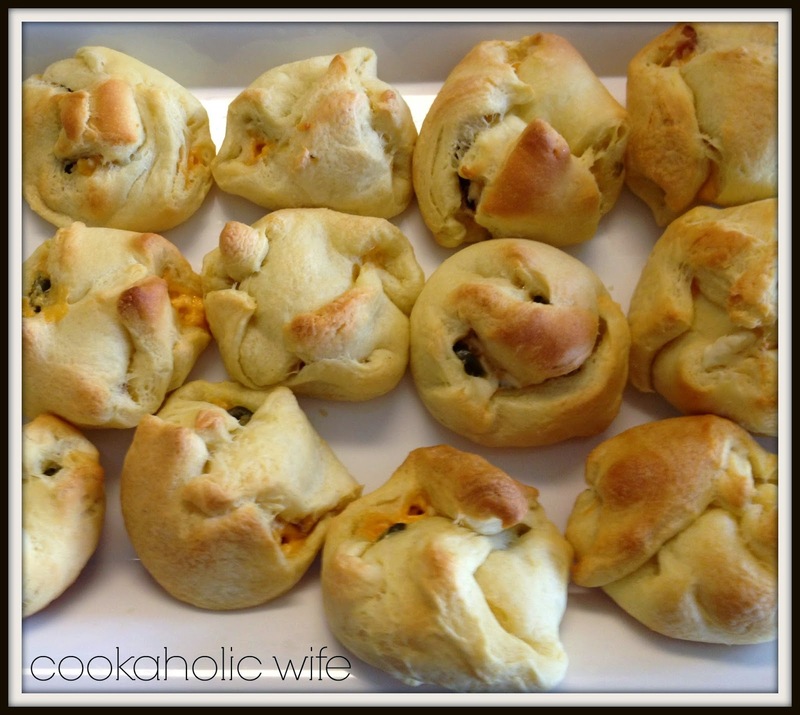 Roll out the crescent roll dough slightly and separate into 8 pieces. 3. Stir together the cream cheese, bacon, jalapenos and shredded cheddar in a medium bowl until fully combined. 4. Divide the mixture evenly between the 8 pieces of dough, placing the mixture in the center. Fold up the edges of each and pinch at the top to close. 5. Place on the prepared baking sheet. Repeat with remaining pieces. 6. Bake for 8-10 minutes or until crescents are lightly golden. Transfer to a plate or platter and serve immediately. If you are ever in need of a really quick appetizer to pull together for some unexpected guests, I highly recommend this one. I made this while multitasking through a ton of other recipes before a party.